If you haven't suspected this already, you can now see that the Queen is Huge. And Rei, well, Rei is Small. 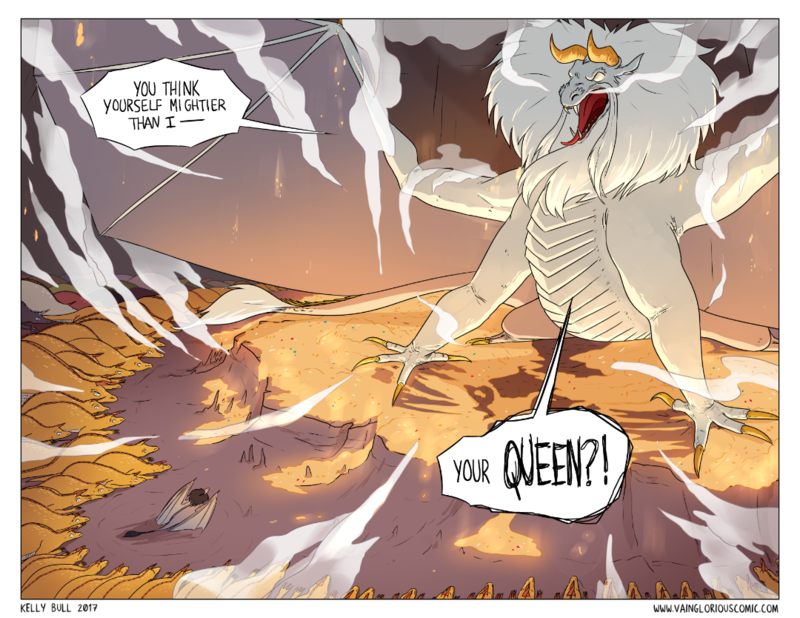 Sometimes this comic will get double page spreads (not that often though!). I hope it's a big enough size - if not, I can put links here in the description to a larger image file. This was very exciting to draw, a nice break from the usual pages but also because you can see exactly how much of a bad decision Rei made. As always, thank you for your wonderful comments and thoughts, and see you this Thursday!